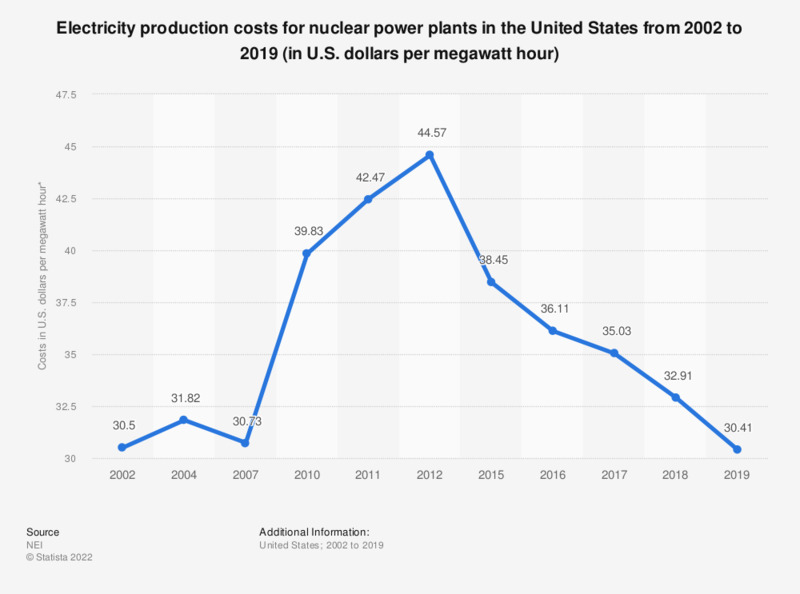 The statistic shows the cost of nuclear electricity production in the United States between 2000 and 2017. In 2017, the production cost of electricity generated from nuclear power came to 33.5 U.S. dollars per megawatt hour. * All values are presented in 2017 U.S. dollar cents. According to the source, production costs equal the sum of operations and capital costs and fuel costs. With regard to the possibility of a nuclear accident, do you think that French nuclear power plants are safe?